One of our best sellers in Ooty! 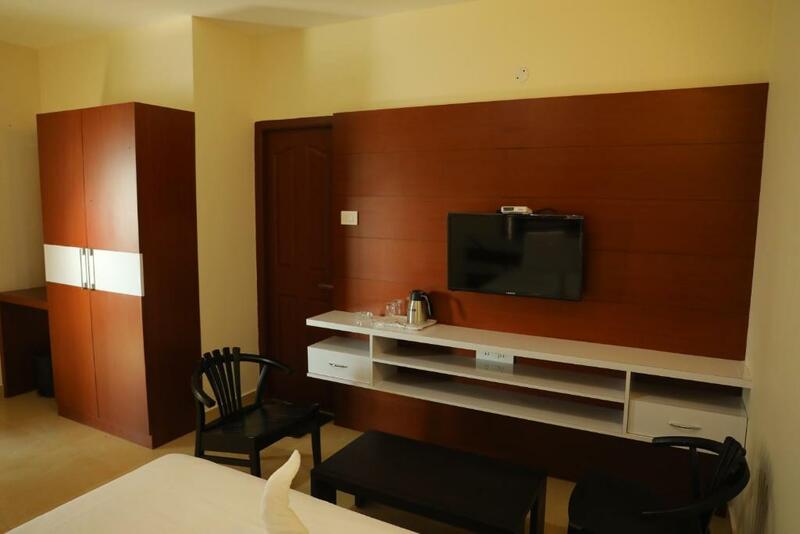 Located in Ooty, 3.9 miles from Ooty Lake and 1.6 miles from Ooty Rose Garden, Palsresidency has accommodations with free WiFi and restaurant. The property is 2.1 miles from The Lawrence School Lovedale​ and 2.2 miles from Hebron School Ooty. 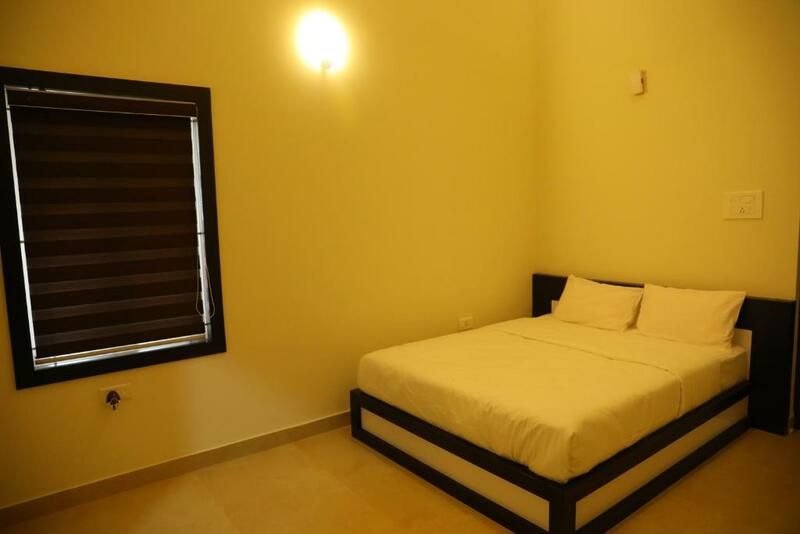 This apartment has 8 bedrooms, a kitchen, a flat-screen TV, a seating area and a bathroom. The reception at the apartment can provide tips on the area. 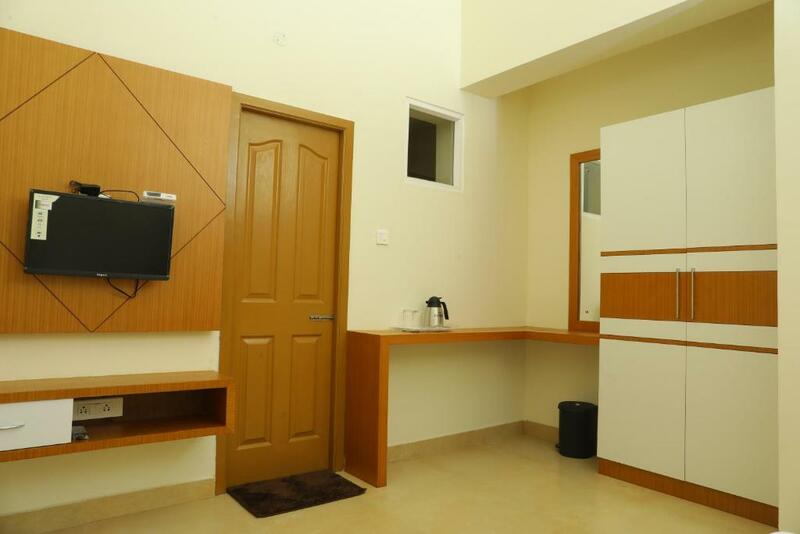 Ooty Botanical Gardens is 2.2 miles from Pals Residency, while Ooty Bus Station is 2.8 miles away. The nearest airport is Coimbatore International Airport, 59 miles from the property. When would you like to stay at Palsresidency? This apartment has a balcony and kitchen. Ooty, The Queen of hill stations is one of the most beautiful hill stations in India. It is situated in Tamil Nadu and spread over an area of 36 square kms , with an altitude of 2240 meters above sea level. Ooty was brought to public eye by John Sullivan, Collector of Coimbatore in 1891. 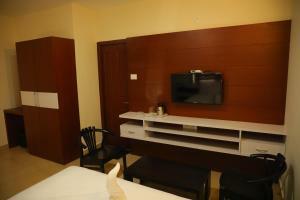 The climate and the natural beauty makes Ooty a paradise especially for the honeymoon couples. Ooty is well known for lofty mountain, dense forest, sprawling grasslands and miles and miles of tea gardens greet the passengers on most routes. The fresh smell of eucalyptus trees in a trendy and clement breeze will make you feel refreshing. The annual flower show and tourism festival attract crowds in huge numbers. 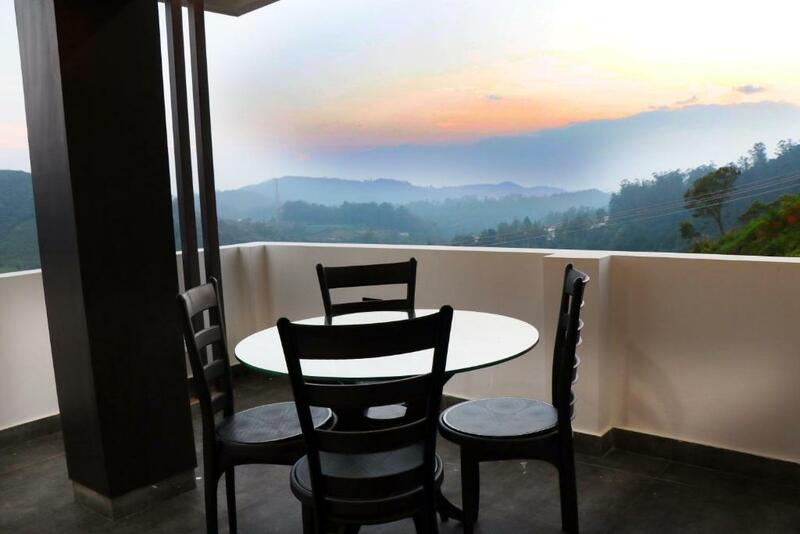 The main stations in Ooty are Botanical Garden, Ooty Lake, Doddabeda Peak, Pykara, Stone House, St.Stephen’s Church,etc.Here we at Pals Residency to help you explore the beauty of Ooty. House Rules Palsresidency takes special requests – add in the next step! 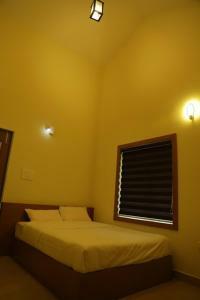 All children under 12 years are charged INR 500 per night for extra beds. We need at least 5 reviews before we can calculate a review score. If you book and review your stay, you can help Palsresidency meet this goal. The road till the top is very bad and full of stone, as its not a hotel so there will not be any board and sign to track it, location needs to be shared by property care taker to reach the destination. Cleanness could be a little issue. Its mentioned that there is a power back-up but it didn't work during our stay and had to spent 1 hour in darkness then in candle light (inside the room) as there is completely dark outside. 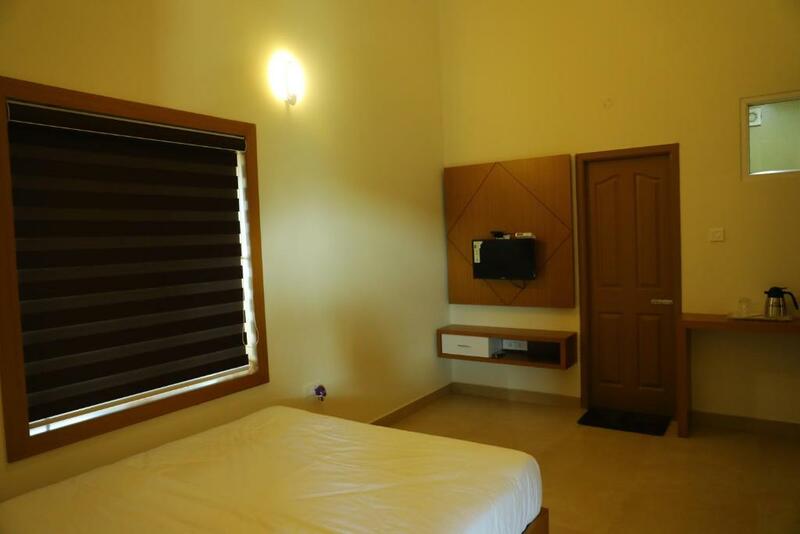 As it is located on the bit of hill top so the connectivity to the city is quite far (5 km), so better be well prepared with all the necessities. Breakfast was complementary but they never talked about the quantity, and they will serve only Dosa and Idly with limitation of 2 per person, which is a sad part when you get to know while they serve ! The only thing which will make you happy once you reach here is the mountain view from balcony (common for all, not attached with room). 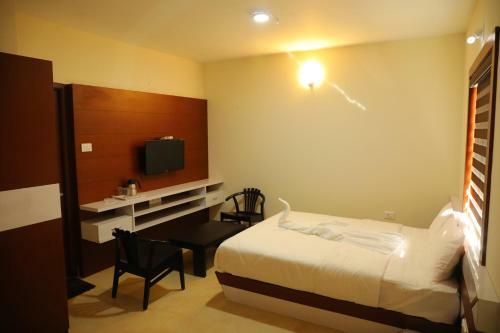 Room quality was good with clean bed and towel, LCD screen and quite decent furniture and bathroom. Mr. Subin (property manager) is really nice to all the guests and try to help in all manner.